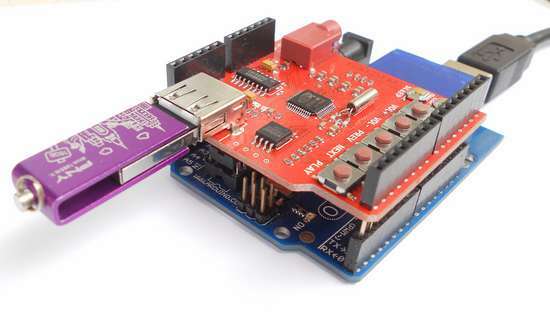 Click the button below to add the MP3 Shield for Arduino V4 to your wish list. It supports both wave and mp3 format. Both SD card and U-disk are supported directly. Also there is an on-board 64Mbit flash which could store music files. 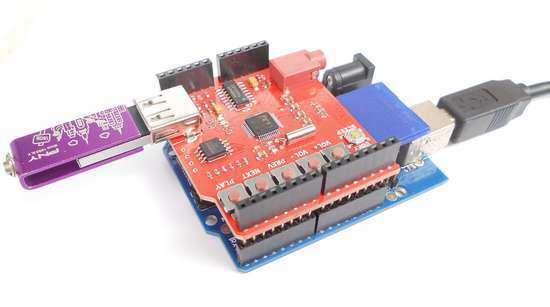 Control by Serial UART interface or keys onboard. 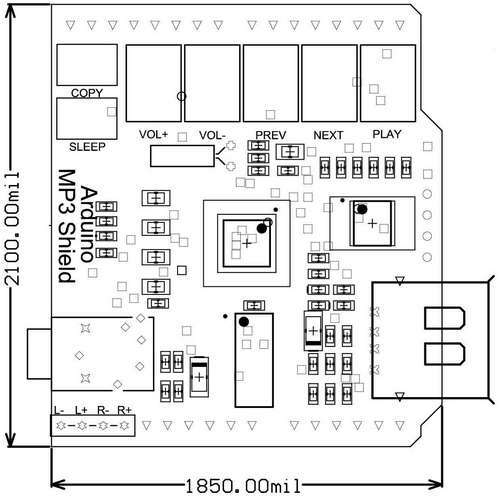 On-board Audio Amplifier to drive 3W/4Ω external loudspeaker. Support both SD/SDHC card and U-Disk. 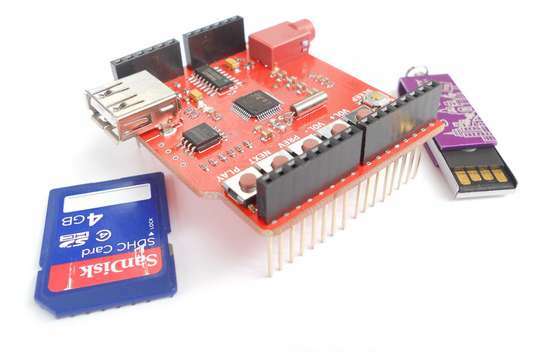 Support copying audio files from SD card or U-Disk to SPI-FLASH.